Here, I send you one of my first astronomical drawings; Ive started only a few months ago and I think it’s a new way to enjoy the wonders of the sky. 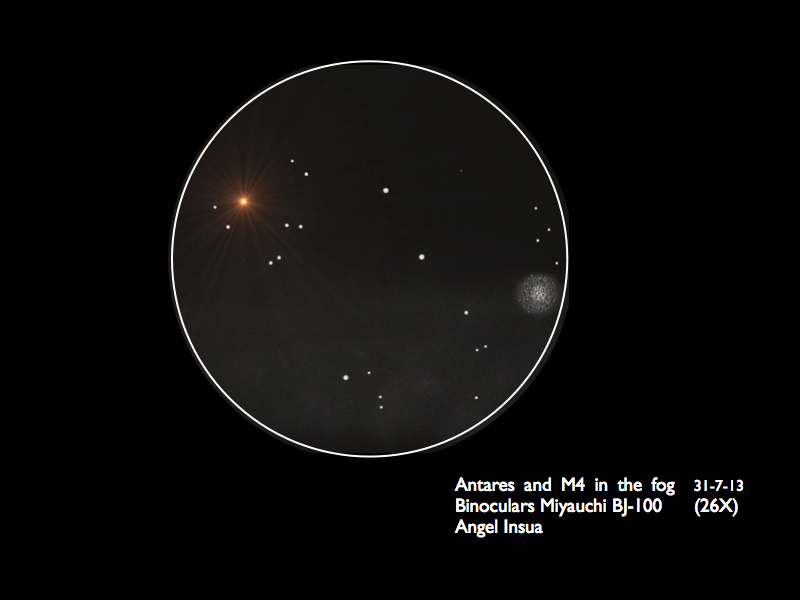 At this time of year, Antares and Scorpio are low on the southern horizon. This is a drawing done before the beautiful red star disappeared into the fog. Beautiful red star is well expressed. I love the sketch. Very nice looking sketch of the pair. This sketch is beautiful. I love how you got the rays to explode from Antares. AND you got M4 very well, too. Nice work!